After 5 months of eating on the road we enjoyed a day with home cooked meal. Simple pleasures! 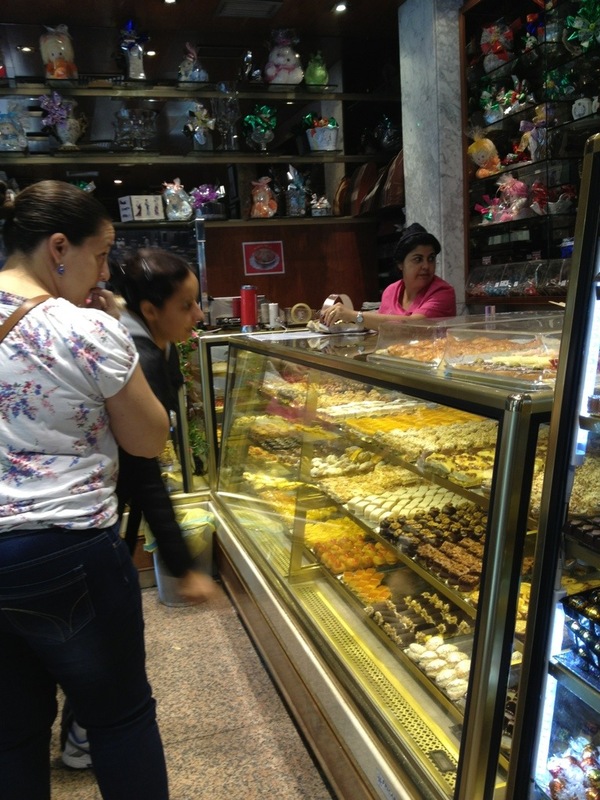 Also found a Pastelería that had a line out the door on a Sunday afternoon. Yummy. 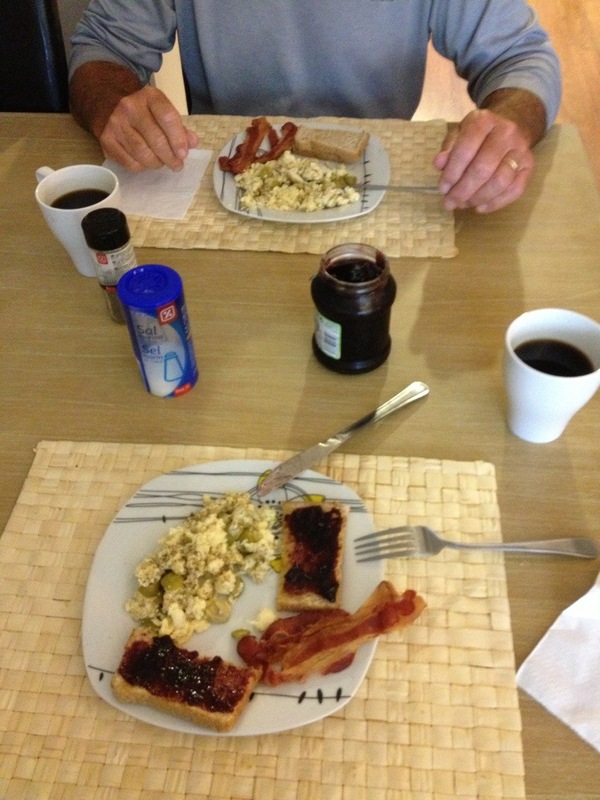 This entry was posted in Salamanca, Spain, Spain and tagged Home Cooked Meals, Salamanca, Travel on September 29, 2013 by Bill and Paige. Bill & Paige, we are in Montreal and taking walking tours each day to see the city. After 5 to 8 miles each day we drag ourselves back to the apartment we have rented and collapse. We have nothing but admiration for the walk you have just undertaken and completed. We had a finish line that we were heading towards – it makes a huge difference than to just stroll for the day. Come hell or high water we were finishing. Was wondering also about back at the Mass on Sunday, did you get to see the flying incense burner before you left the church. If so what was that like? We left before it happened. We saw it hanging from the ceiling and all the priests came out to assist but…..